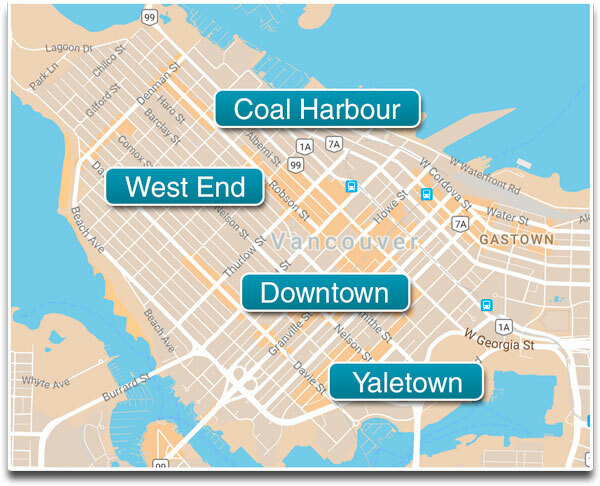 Downtown Vancouver is north of Westside Vancouver and Eastside Vancouver. It's a unique area of Vancouver (located in the business district) almost entirely surrounded by water, with views of the ocean and the North Shore Mountains. It's extremely walk-able, but also has offers all public transit options (bus, skytrain, seabus and aquabus).